Weapon Shield™ Solvent is the ultimate cleaning solvent that contains NO VOLATILES and is “ENVIRONMENTALLY FRIENDLY”, non-toxic, non-mutagenic, and conforms to California’s Proposition 65. There are no SARA Title II or III chemicals or heavy metals in its formulation as well. THIS IS AN INDUSTRY FIRST! A solvent that contains no harmful solvent properties,whatsoever. If it’s GREEN you are looking for in a cleaning solvent, look no further. 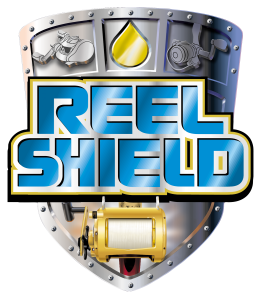 Removes burnt powder, fouling, lead, and copper leaving behind a light coating of “Weapon Shield (CLP)” and contains “NO AMMONIA” or any chemical that is harmful to your weapons bore/rifling, its surface, its finish, or its polymers. NOTE: Solvent used in ultrasound cleaners should be kept at, or near, room temperature. Saturate a new patch with Weapon Shield Solvent. From the breech end, push it slowly through the bore. Repeat process with another patch as the first patch will remove most of the burnt powder and fouling. Swab the bore back and forth with this patch. A couple of times. Apply a dry patch to the cleaning rod and repeat, drying the bore and chamber. Inspect the barrel and bore. Repeat if necessary. If it’s clean, then wet another patch with Weapon Shield (CLP) and apply a light coat to the barrel and bore. Clean and protect the rest of the weapon with Weapon Shield CLP. To remove lead, copper and gilded metals, apply Weapon Shield Solvent to the bore and allow it to soak for a few minutes. The longer it soaks, the better it works. We DO NOT recommend metal brushes, but nylon bore brushes are more acceptable. Whenever possible, use a patch only. Always clean from the breech end. If not possible in some cases, use a bore guide and protector.